Here is a great older home with the charm of slate roofing and shining hardwood floors, but with lots of updated features. The recent remodeling includes the new kitchen with granite counter tops, marble back splash, soft close kitchen cabinets and drawers, Armstrong Duratile floor, plus recessed, pendant, and under cabinet lighting with dimmer controls. The appliances by Samsung include the smooth top range, microwave oven, dishwasher, and double door refrigerator with freezer drawer. A special feature of the home is the custom ceiling trim which extends throughout the home(see photo 20). In order to maximize the efficiency of your home and keep your utility costs to a minimum, a new York HVAC system has been installed along with all new windows and entrance doors. The second floor bath has also been remodeled with new cabinetry, porcelain tile floor, and ceramic tile tub surround. We've also added a first floor half bath for your convenience. There is also a walk-up attic for storage in addition to the full basement. Exit the rear door from your kitchen to a breezeway which gives you covered access to your oversized two car garage. One bay of the garage is the depth of two cars which means you can be working on your fun car or bike without having to leave your other car in the driveway. 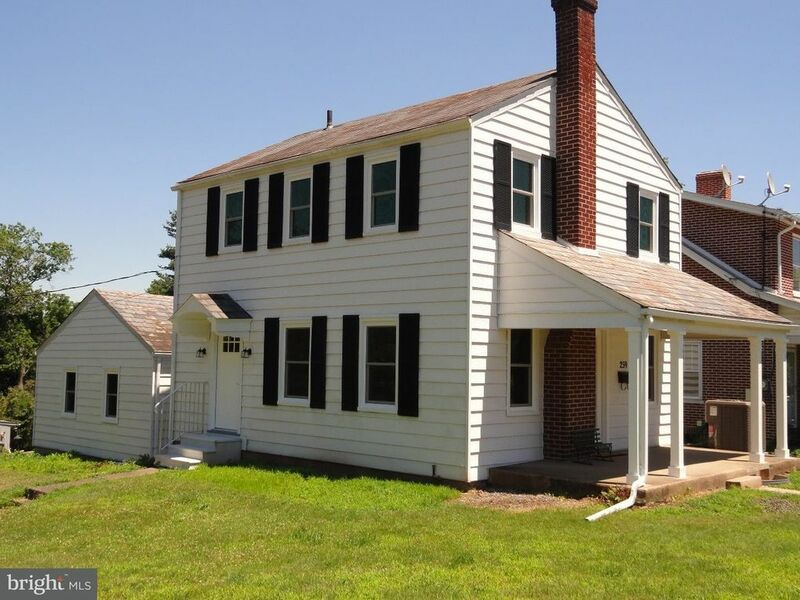 Convenient location to area shops, Route 309, and Bethlehem Pike. You'll also enjoy the soothing sounds of the church chimes as they serenade the area over lunch hour.